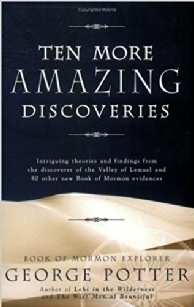 Ten More Amazing Discoveries: Intriguing theories and findings from the discoverer of the Valley of Lemuel and 80 other new Book of Mormon Evidences. Book of Mormon Explorer George Potter. This is an amazing chapter on finding Lehi’s family names in certain parts of the Arabian peninsula. 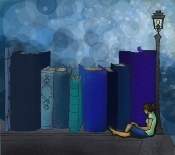 The author says, “As we begin, we recognize that there are basically two kinds of readers: skeptics and believers. Skeptics believe nothing until the weight of accumulated evidence overwhelms their existing paradigms and forces them to change their thinking. “Believers, on the other hand, believe everything until the weight of evidence forces them to discard their paradigms and beliefs. “By nature, skeptics are cynical and pessimistic in their approach to ideas outside their knowledge and experiences. Believers are optimistic, innocent, and naïve in their approach to new ideas. Believers are often better than skeptics at putting pieces of puzzles together. A believer’s mind engulfs all possibilities and assimilates what is discovered to be true and discards what is found to be false.